Belmopan, fifty miles inland and with plenty of room to expand, was selected as the site of the new capital of British Honduras after Hurricane Hattie had devastated the former capital, the port of Belize City, in 1961. Construction started in 1967 and the government moved there in 1970: Belize City remained the commercial capital. The country changed its name to Belize in 1974, and gained its independence in 1981. It was only then that governments began to think seriously about establishing their diplomatic missions at Belmopan, although the Ministry of Public Building and Works had bought a staff house, 10 Orchid Gardens, in 1972 to use as a communications office. 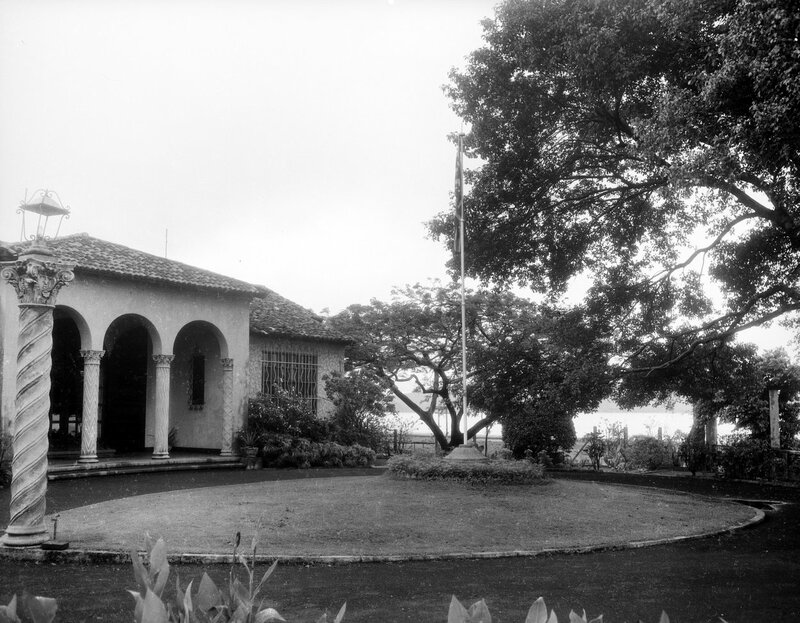 Immediately after independence, the high commission occupied Belize House in Belmopan, formerly the governor’s residence. A site of about 1.5 hectares was bought in 1982 on which to build a high commission residence, a staff house and amenities. These were completed in 1984. The residence was called Merlin House, after the 16-gun Royal Navy sloop that had in 1798 been instrumental in fighting off a Spanish invasion at St. George Caye: Roman Halter designed and made a handsome nameplate for the residence. The Belize government granted free of charge for the construction of new high commission offices the site at Block 20 in Parcel 772 at Embassy Square, the diplomatic area. The offices were completed contemporaneously with the housing in 1984. 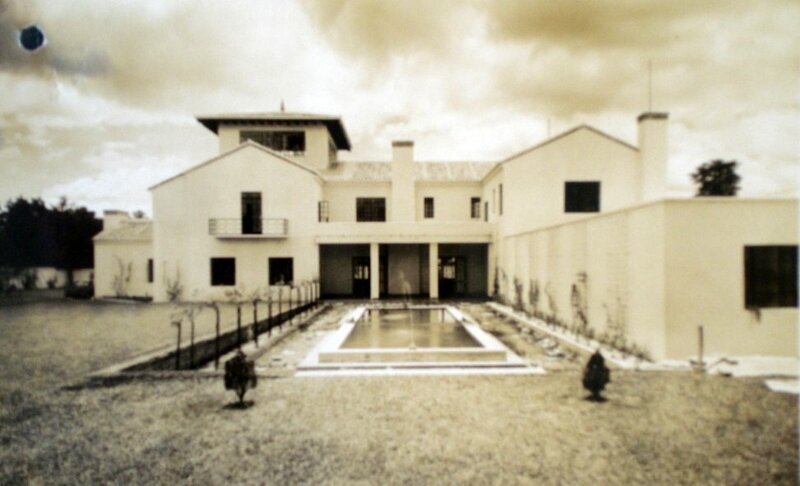 All the buildings were two-storey and designed in-house by architect George Coutinho of the Property Services Agency. Consistent with the new town of Belmopan, all the buildings were deliberately kept low key and simple to build. 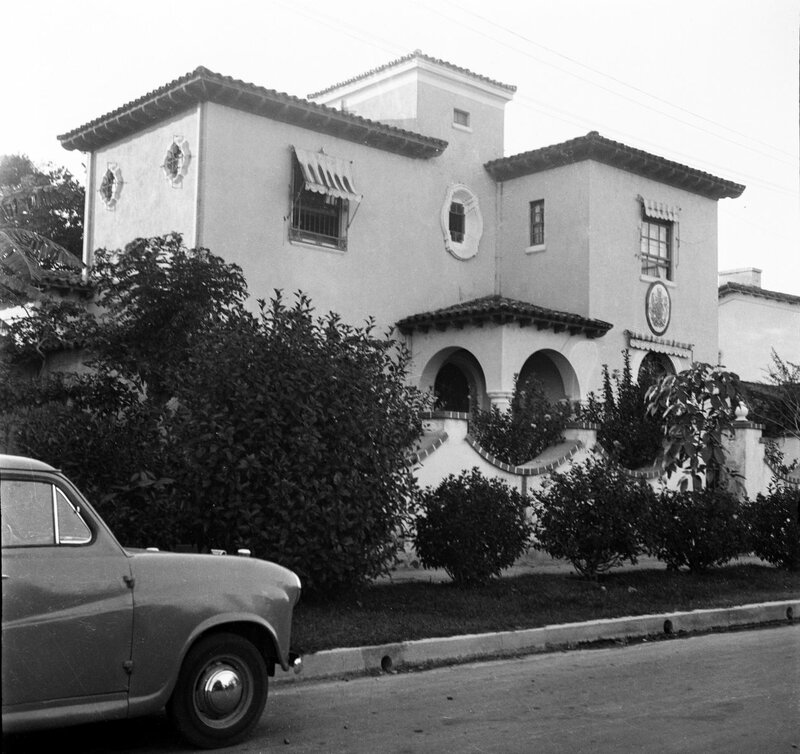 A legation house, leased since 1937, was bought in 1947 at Nos 4-13, Zona 9, in the prolongation of Seventh Avenue South between 4th and 5th Streets of Tivoli at a cost of £37,500. 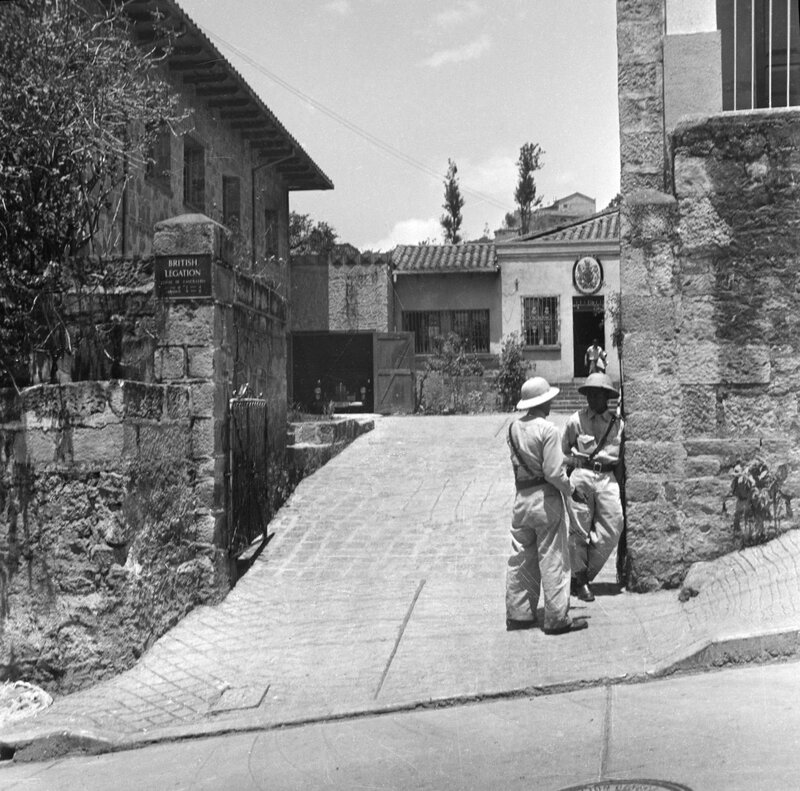 The house was built by the Herrera family with the intention of leasing it as a legation, and it worked well, although the minister induced the landlord to build a new dining room and terrace at the rear. During the Second World War the minister made it a centre for preparing food for sale to war charities, and additional temporary kitchen quarters were built. It was sold in [? the 1990s] and replaced by a house on Calle 26-59, Zona 10. Offices were leased until [? the 1990s], and then purchased. 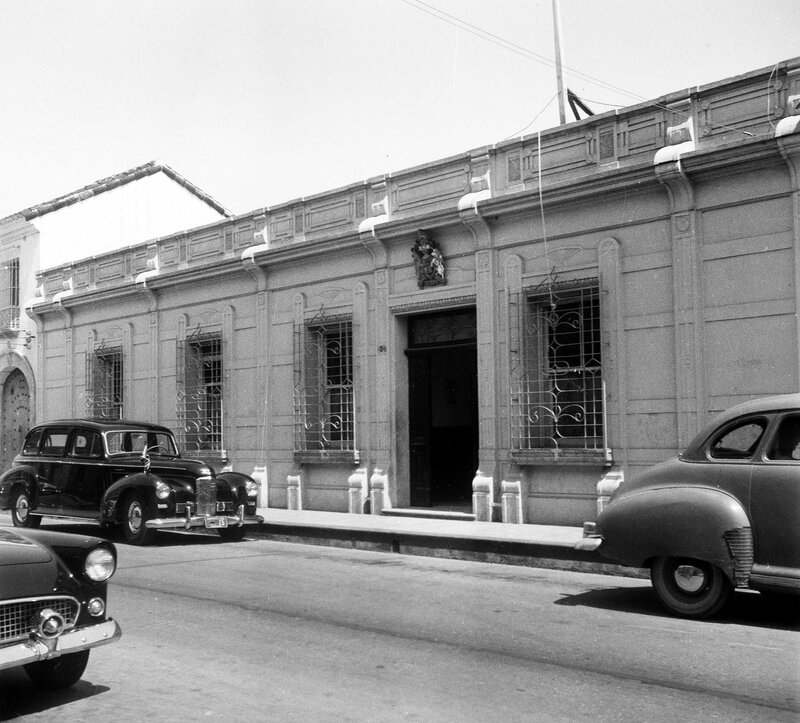 Legation offices street front, 1956. 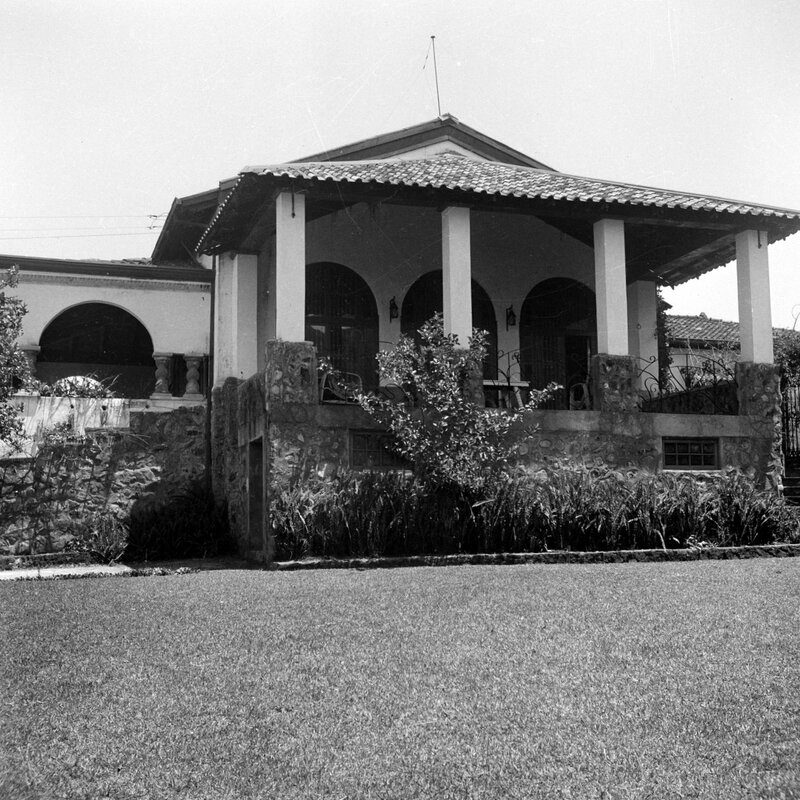 Garden view of residence , with recent terrace extension, c.1947. 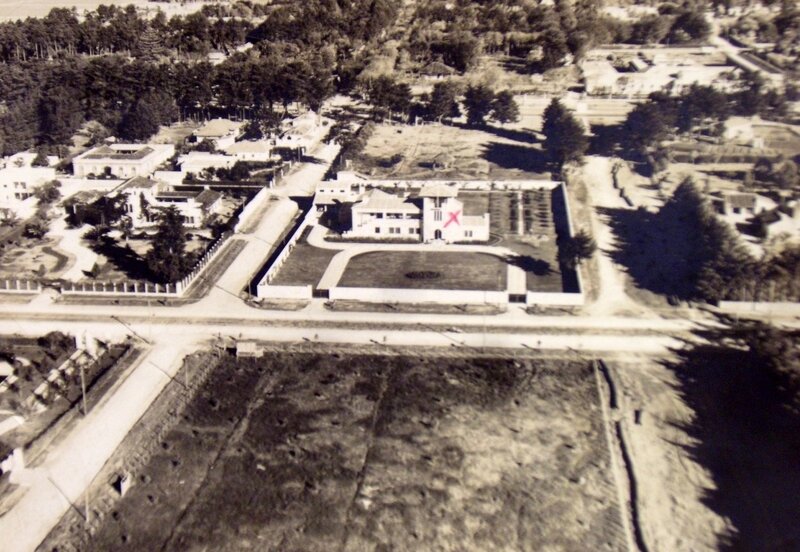 Guatemala City: aerial view of legation house, late 1930s. 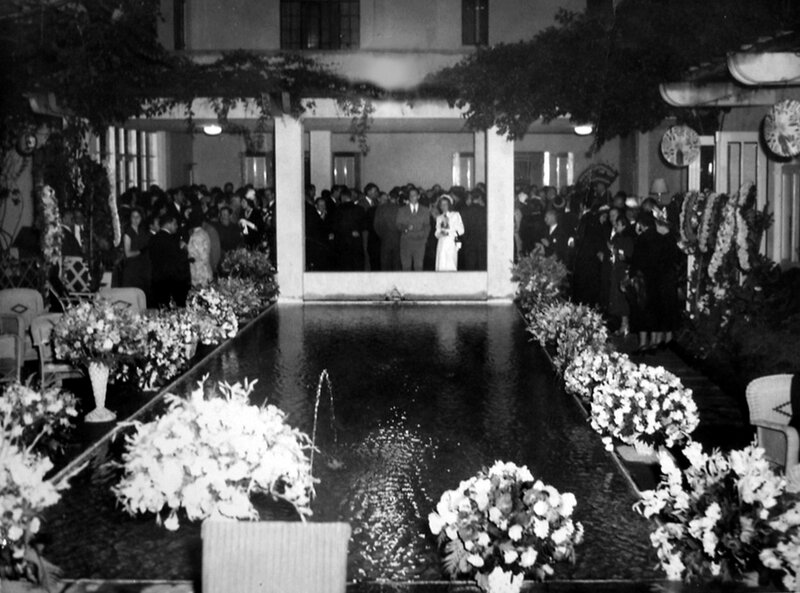 Coronation party at the residence, 1952.